Just 1 Random Guy: Dragon with flames! More old stuff! This time a dragon. 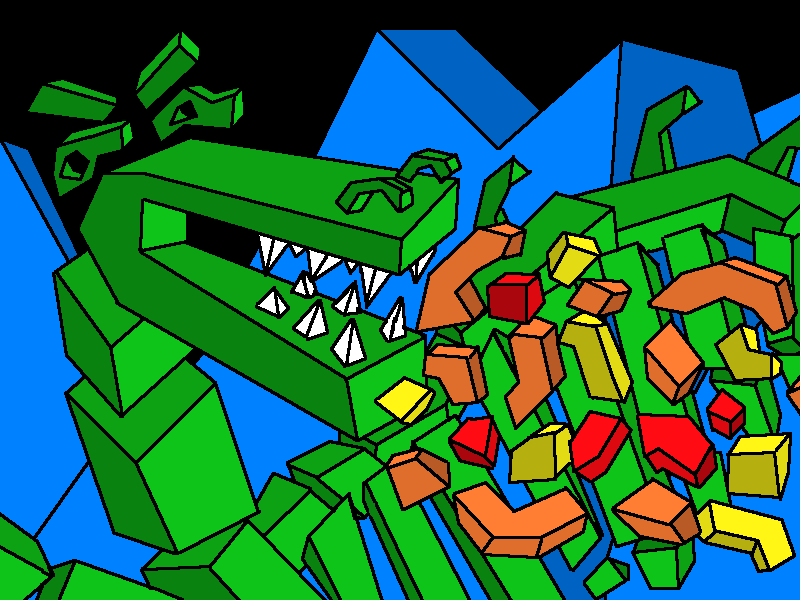 There was a time when I really only did polygonal stuff like this. i really like the use of primary colors.